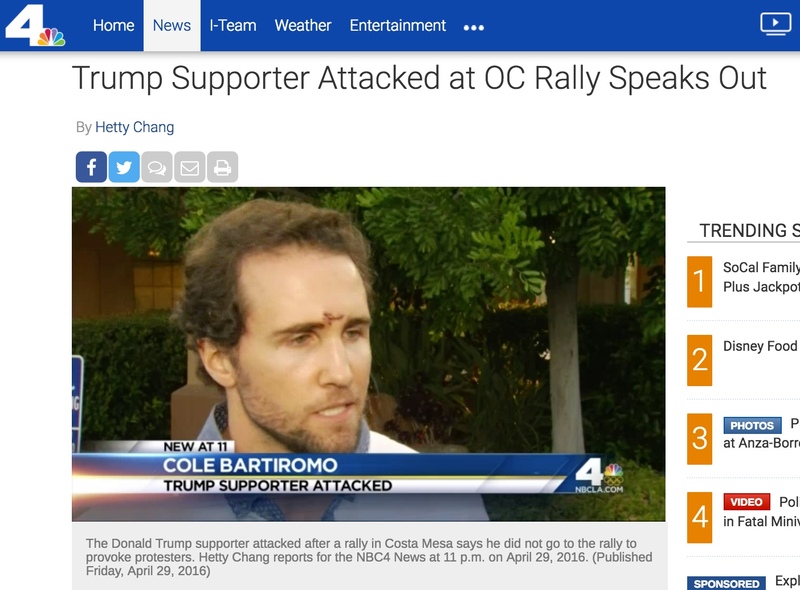 2016.04.28 – CA: Trump Supporter Gets Beaten Up. Rocks are Thrown at Trump Supporters, Police, and Police Horse at Costa Mesa Rally. At one point, a Costa Mesa officer was hit on the head by a rock thrown by a protester, but police said he was unhurt, thanks to the riot gear and helmet he was wearing. A police horse ridden by a Huntington Beach officer wasn’t as fortunate, authorities said. The horse, named Drifter, was injured by a thrown rock, police said.